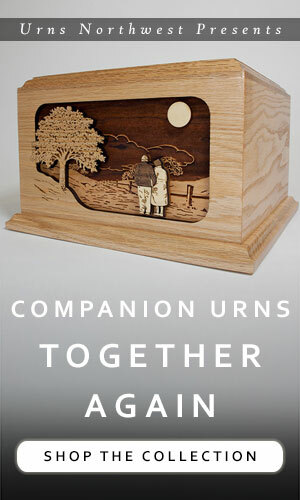 Every person who has ever lived has, or will soon have, the need for a funeral. 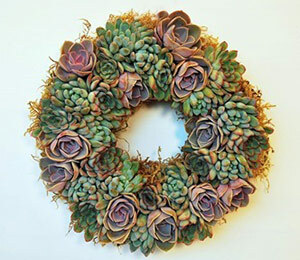 Since life is so full of wonder, interest, intrigue, mystery, humor, and much more, it should be no surprise that death would have its share of the strange and wonderful. 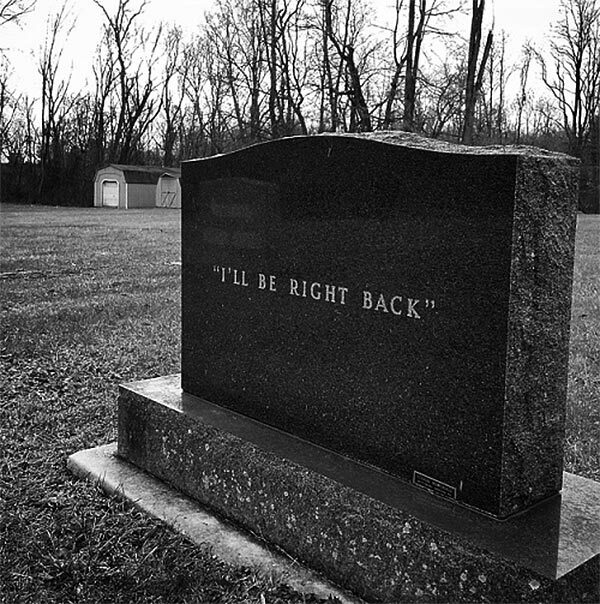 Here is our collection of fascinating funeral photos that capture a small hint of the paradoxical beauty, unsolvable mystery, odd irony, and morbid humor of funerals. 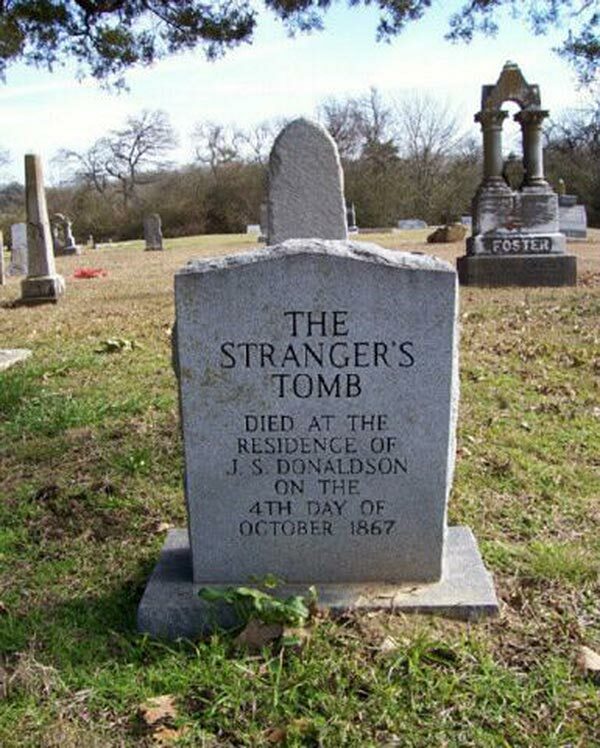 In October 1867, a man was found wandering in the Donaldson’s yard. He was incoherent and very sick. 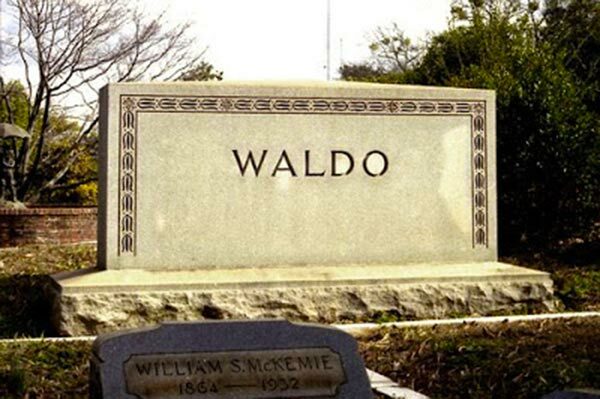 He never was able to tell them who he was. He died October 4, 1867 and was buried in the Donaldson’s plot in The Ladonia Cemetery. No one knows anything else about this person or event. Just waiting around until the Zombie Apocalypse. Photo credit. 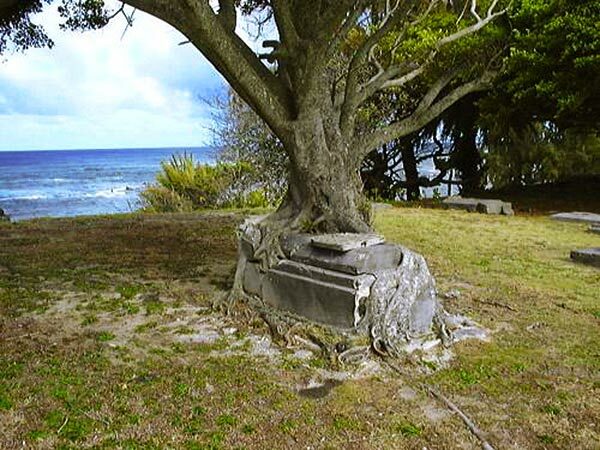 A banyan tree has merged with an ancient crypt at the historic cemetery in Kalaupapa National Historical Park on the Hawaiian island of Molokai. 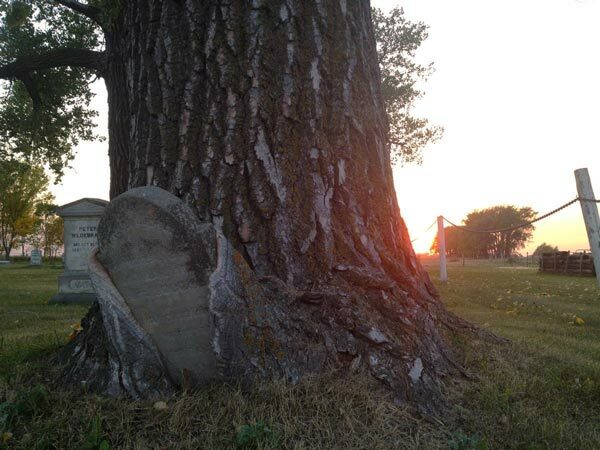 Grave stone overcome by the powerful growth of a tree. Nice visual of Isaiah 25:8.
the woman walked the streets, greeting anyone she passed by with heartfelt warmth. As she approached the train station, an eastbound flyer was rushing nearby, bound for New York. Witnesses of the event say that the Girl in Blue dropped her suitcase and sprinted for the tracks. Suddenly, a glancing blow from the train sent her body hurtling through the air before she landed on the gravel siding. Local authorities, upon inspecting the body, found absolutely no blood or visible wounds. Later, after a closer inspection, it was judged that she suffered a fractured skull from the impact of the train, and that was determined to be the cause of death. She carried no ID, and it was difficult to determine what caused her to rush towards the train – did she commit suicide? Was she rushing to catch the train? Was it something else? 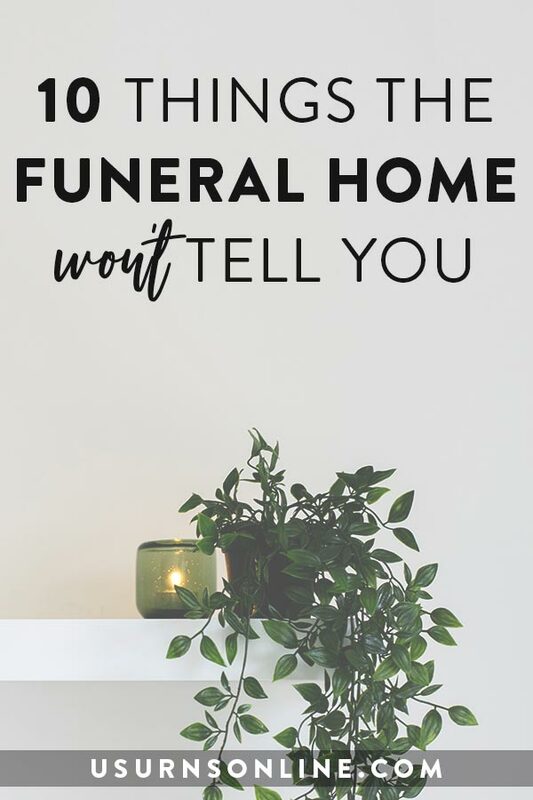 Saddened by the mysterious death, the local funeral home took on the burial, donations paid for the cost of the headstone, and her funeral was attended by over 3,000 local residents. 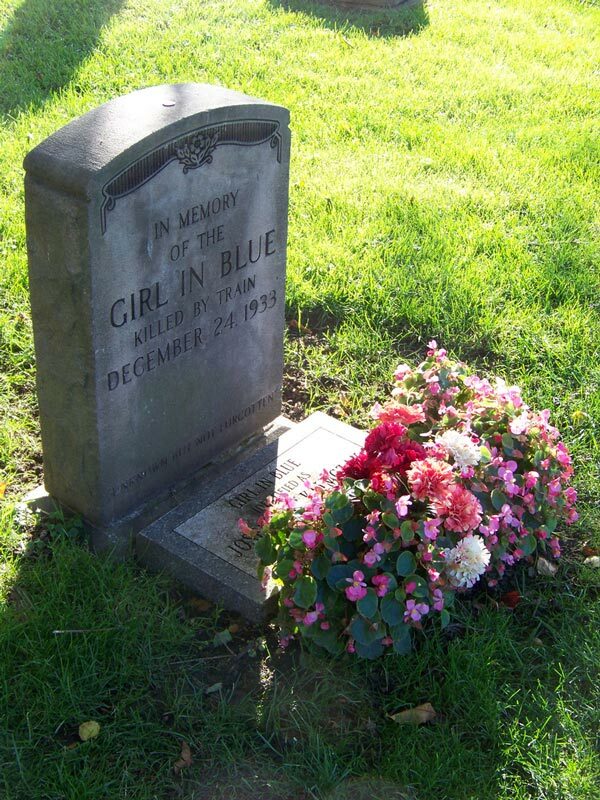 It was not until 1993, sixty years after her death, that the enigmatic “Girl in Blue” was finally identified as Josephine “Sophie” Klimczak. 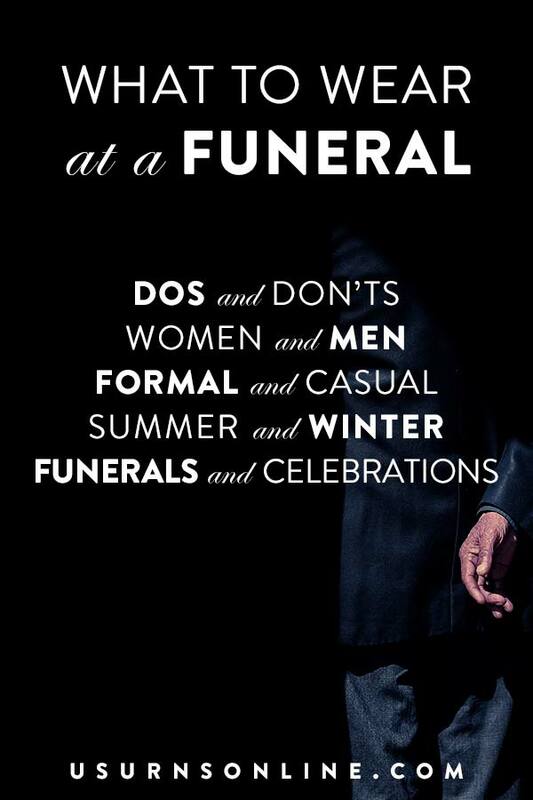 From the Chic Girl’s Guide to Hosting a Fabulous Goldfish Funeral. Goldfish cracker hors d’oeuvre recipes included. 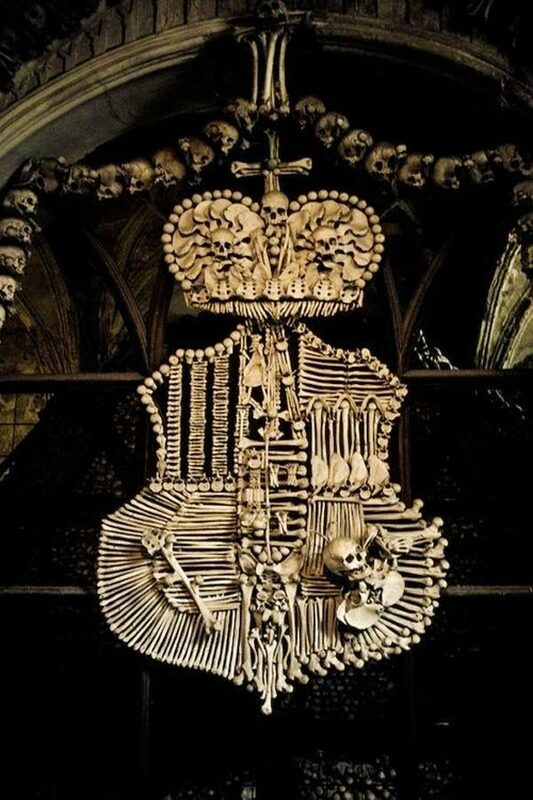 Bones form a design at the Sedlec Ossuary at the Cemetery of the Church of All Saints. After the Black Death of the 14th century and the ensuing Hussite Wars, thousands were buried in the Sedlec abbey cemetery. Later, a church was built over the cemetery, and in 1511, a half-blind monk was given the task of the task of exhuming skeletons and stacking their bones in the chapel. In 1870, František Rint, a woodcarver, was charged with putting the bones in order. This yielded the macabre “sculptures” for which the ossuary is famous. 2nd Lt. Jim Cathey’s body lay in state for several days at a local funeral home. 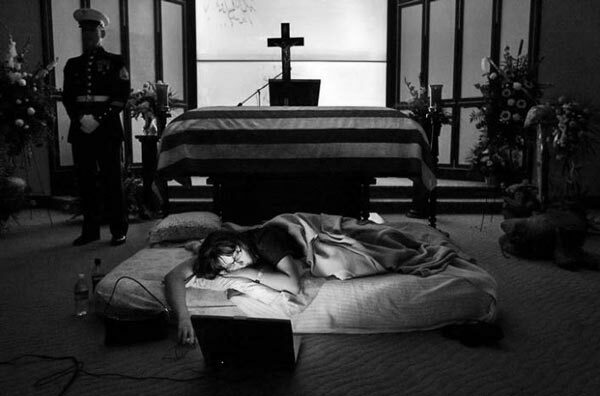 Marines stood watch over him until the funeral. 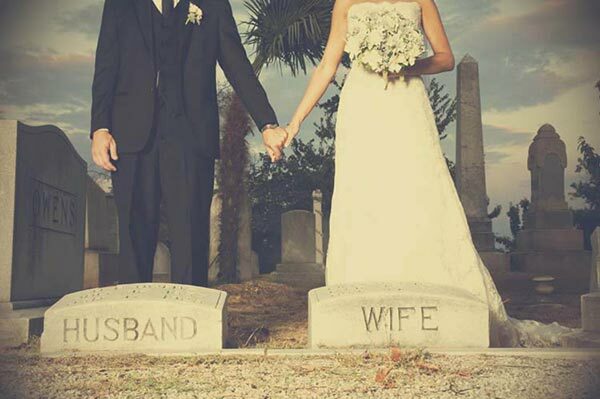 On the night before his burial, his wife stayed with him. 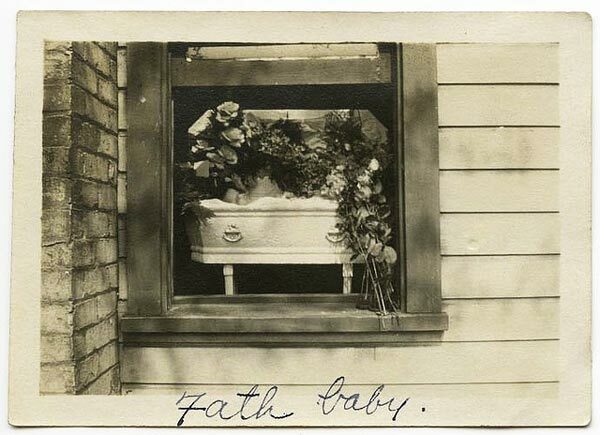 The sentry prepared a bed for her, with an air mattress, and she lay before his coffin, listening to music they’d played together, remembering their life together, feeling their unborn son kick within her womb. 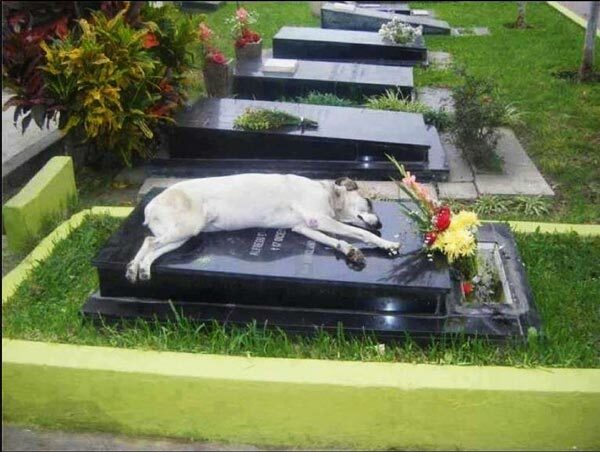 This dog laid on his owner’s grave for hours in mournful tribute. 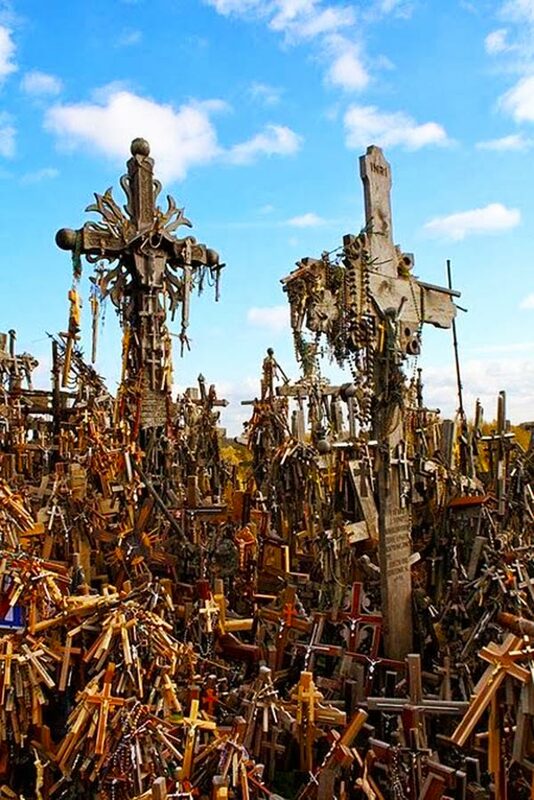 The Hill of Crosses is a unique collaboratory work of folk art and memorial tributes. Located in Lithuania outside of Siauliai City, the Hill has come to represent peaceful endurance of Lithuanian culture and heritage in the face of religious persecution, foreign control by the Russian Empire, the horrors of WWI and WWII, and later occupation by the Soviet Union. 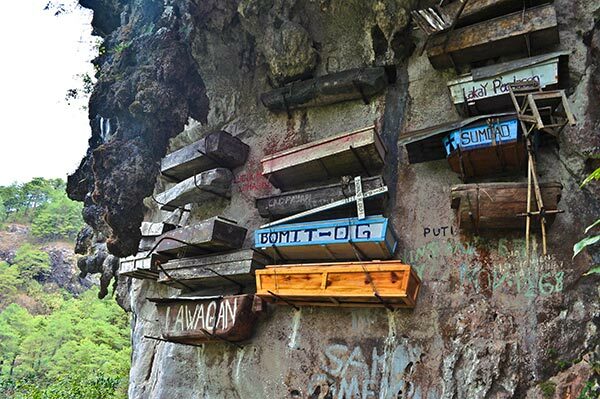 The crosses apparently first appeared after the Lithuanian and Polish uprisings of 1831 and 1863: when relatives could not locate bodies of fallen rebel family members, they began erecting symbolic crosses in place of a former hill fort. 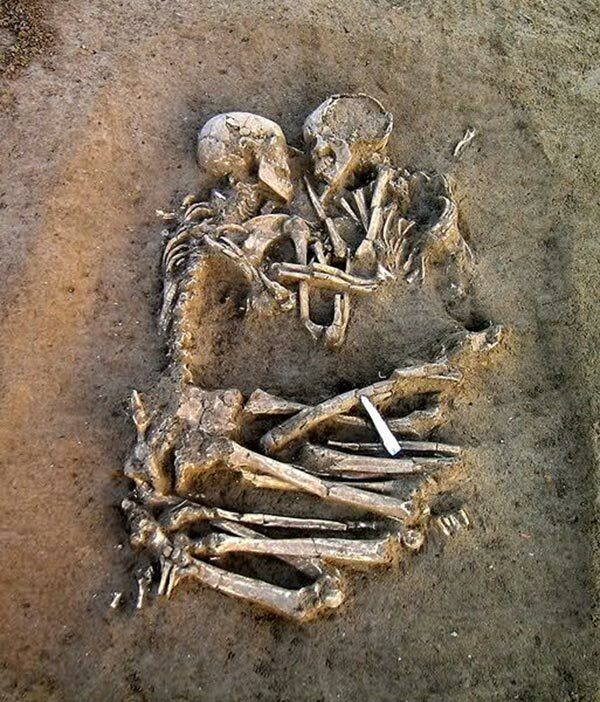 The Lovers of Valdaro is famous archeological find of two skeletons locked in an “eternal embrace.” The bones date back about 6,000 years, and are believed to be the remains of a young man and woman no more than about 20 years of age. Previous post: Mailbag: Do any of the cases fit a 5′ X 8′ military burial flag?